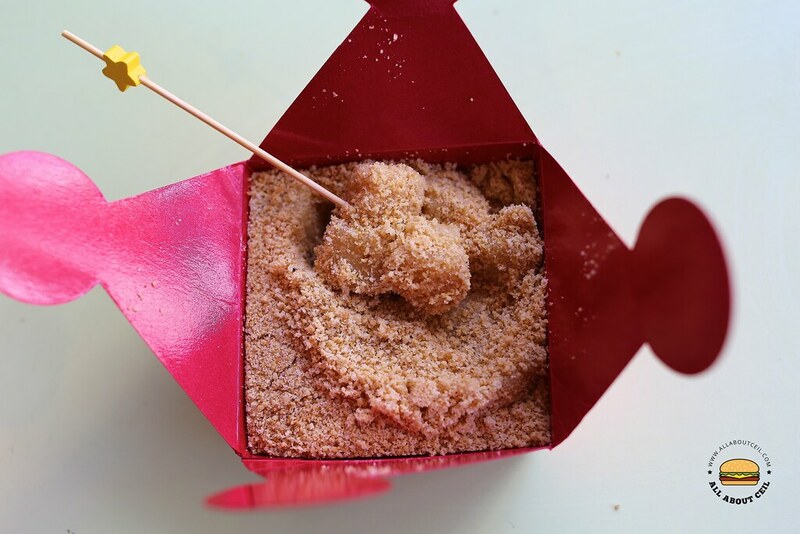 ALL ABOUT CEIL: Heavenly Snacks : their Muah Chee is so addictive! Heavenly Snacks : their Muah Chee is so addictive! 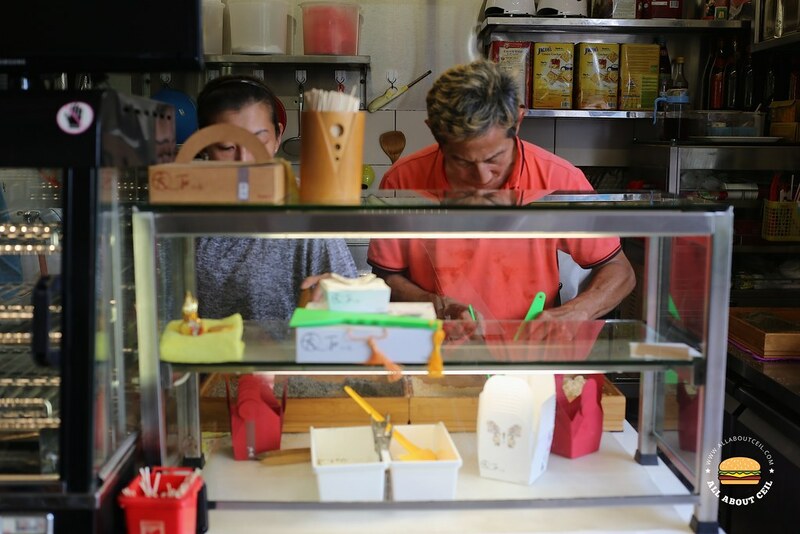 There is a muah chee stall amongst the others in Circuit Road Food Centre and it is manned by Mr Andy Tan, 52, it has been around for a year or so. 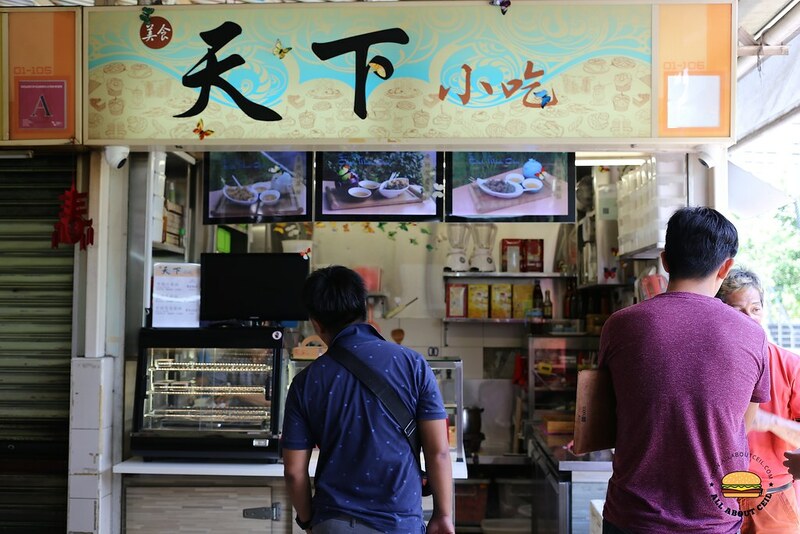 Muah Chee is a traditional snack that is made with glutinous rice flour and it is not as commonly found as it used to be, there is Hougang 6 Miles Famous Muah Chee at HDB Hub in Toa Payoh and also can be found at some Pasar Malam. His version is not quite like those available at Pasar Malam but a better quality one which it is even better than Hougang 6 Miles Famous Muah Chee that has been around for a while. He experimented with different recipes before deciding on the method of using a blender to mix the dough. He also divided the dough into individual trays before steaming it. This is to ensure that the portion is of equal size. There are only 3 items on their menu, the "Yuan Yang" Muah Chee ($3.00), Black Muah Chee ($2.80) and White Muah Chee ($2.50). I wanted to order their "Yuan Yang" Muah Chee but I was told it has already sold out, only the white muah chee and the black muah chee are available . I ordered one of each. Mr Tan took out a tin from the oven, tip it slightly to slip the muah chee into the wooden tray that is filled with ground, roasted black sesame seeds. He then cut the muah chee into the equal size by hand and tosses them into it. The reason for cutting it so small is to ensure every piece is coated evenly for more bite and flavour. 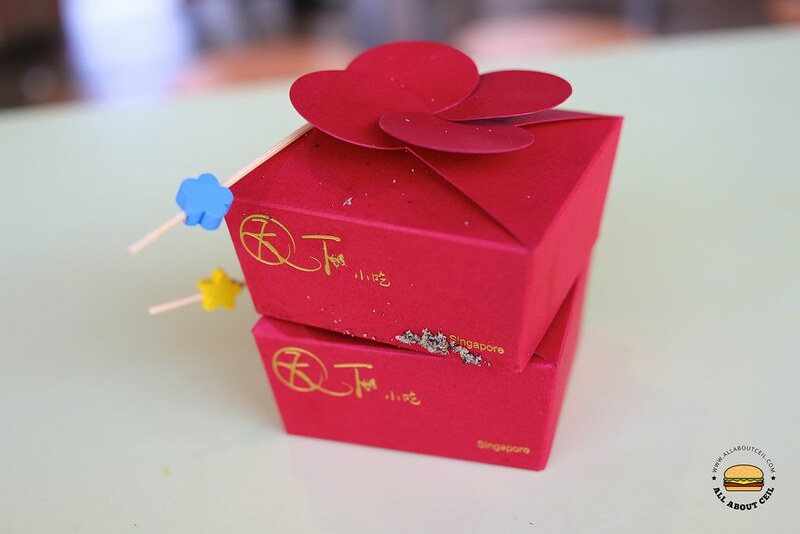 The same process was repeated for the white muah chee with the peanut coating and both are packed into a red paper box with decorative toothpicks. A relatively long waiting time is expected as every order takes about 5 minutes to prepare. 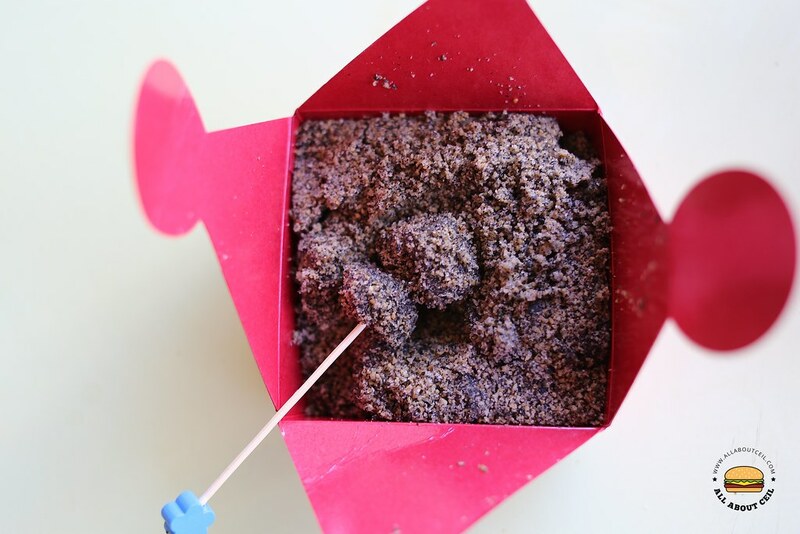 The sesame coating has a nice fragrance and a well-balanced sweetness with a light crunch. The peanut coating is not as fragrant as compared to the black sesame one. The glutinous rice dough is not as greasy and sticky, it is rather soft with a nice chewiness. It also does not get stuck in between the teeth. It is a perfect snack to go in between meals and definitely, a healthier choice too. From the preparation to the packaging, many thoughts have been put into it as Alan is hoping that it would appeal to the new generation. Hi, I believe they are closing by the end of October 2017. What a pity if they are really doing so.